One year ago today, Israeli Defense Forces were engaged in Operation Cast Lead, a long overdue offensive into Gaza to stop Hamas from firing thousands of rockets and mortars at innocent Jewish civilians in southern Israel. As 2009 comes to an end, the assessment of Israeli security services is that the operation was very successful. The IDF severely damaged Hamas, bringing such attacks almost to an end. The IDF — along with Bibi Netanyahu’s election and new policy of retaliating for every single Hamas attack, not just the ones that cause damage, injury or death to Israel — also restored an important measure of deterrance. Terrorists now know once again that Israel will hit back, and hit back hard, something they hadn’t believed during the years of the Olmert administration. But for 2009, at least, Israelis were more secure than at almost any other time in the nation’s recent 61 year history. Does this level of security fulfill the biblical precondition set in Ezekiel 38:8 that Israelis are “living securely in the land” right before Russia, Iran, Turkey, Libya and several other enemies launch the prophetic “War of Gog and Magog”? This remains to be seen. It’s still too early to draw a conclusion. But there is no question that events in the epicenter over the past decade — and particularly in the last few years — are remarkably consistent with the prophecies detailed in Ezekiel 38-39. God in His sovereignty could still kick the “prophetic can” up the road several decades, if He so chooses. But never in human history have geopolitical conditions in the epicenter been so ripe for the “War of Gog and Magog” to occur. Last week — for the first time ever — Israeli Prime Minister Benjamin Netanyahu summoned all of the Jewish State’s ambassadors back to Jerusalem for special briefings….why?….what’s brewing?….developing. A DECADE OF RADICAL ISLAM: Will the West wake up to the threat in time? 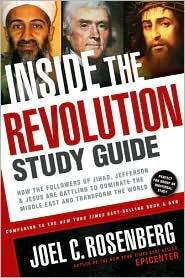 Dozens of similar terror plots have been foiled over the last eight years, as I document in Inside The Revolution. But overall, the West is still asleep to the danger posed by adherents of Radical Islam. The U.N. is doing nothing to stop Iran from getting the Bomb. Europe is doing nothing to stop Iran from getting the Bomb. Asia is doing nothing to stop Iran from getting the Bomb. President Obama refuses to recognize that his diplomatic overtures to the Radical regime in Iran are being laughed at in Tehran, while the mullahs race for nuclear weapons continues unabated. The President refuses to fully support the pro-democracy Reformers in the streets of Iran, even though they are willing to die to bring about true, peaceful change in their country. The President, to his credit, has committed more U.S. troops to fight al Qaeda and the Taliban in Afghanistan. But he dithered for much of the year and let many Americans die on the battlefield in the process. Meanwhile, Washington is doing everything it can to restrain Israel from dealing decisively with Iran. How is all this a recipe for protecting the American people and our most faithful allies from disaster? We have been fortunate so far. But how long can this last if so many leaders pay little or no serious attention to the central threat of our time? 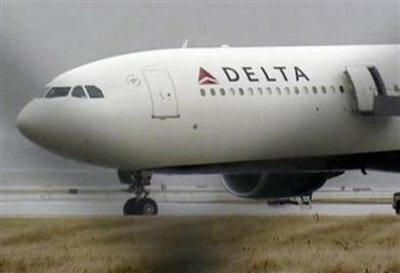 Excerpts from AP story: “A Northwest Airlines passenger from Nigeria, who said he was acting on al-Qaeda’s instructions, tried to blow up the plane today as it was landing in Detroit, law enforcement and national security officials said. A senior U.S. counterterror official says a passenger aboard a Delta Air Lines flight in Detroit was planning to blow up the plane but the explosive device failed, the Associated Press reported today. Passengers subdued the man and may have prevented him from detonating the explosives, the officials said. A White House official said the incident was an attempted act of terrorism….Rep. Peter King, R-N.Y., ranking GOP member of the House Homeland Security Committee, identified the suspect as Abdul Mudallad, a Nigerian. King said the flight began in Nigeria and went through Amsterdam en route to Detroit. There were 278 passengers aboard the Airbus 330.” A Reuters report quotes Rep. King as saying, “My understanding is … that he does have al Qaeda connections, certainly extremist terrorist connections, and his name popped up pretty quickly” in a search of intelligence data bases. The New York Times runs a surprising op-ed column today, “There’s Only One Way To Stop Iran,” by Alan J. Kuperman, director of the Nuclear Proliferation Prevention Program at the University of Texas at Austin. Kuperman spends the first two-thirds of the piece explaining why negotiations aren’t working, and why economic sanctions won’t ultimately stop Iran from building and deploying nuclear weapons either. He concludes by arguing the only way forward now are U.S.-led airstrikes. “Since peaceful carrots and sticks cannot work, and an invasion would be foolhardy, the United States faces a stark choice: military air strikes against Iran’s nuclear facilities or acquiescence to Iran’s acquisition of nuclear weapons. “The risks of acquiescence are obvious. Iran supplies Islamist terrorist groups in violation of international embargoes. Even President Ahmadinejad’s domestic opponents support this weapons traffic. If Iran acquired a nuclear arsenal, the risks would simply be too great that it could become a neighborhood bully or provide terrorists with the ultimate weapon, an atomic bomb. As for knocking out its nuclear plants, admittedly, aerial bombing might not work. Some Iranian facilities are buried too deeply to destroy from the air. There may also be sites that American intelligence is unaware of. And military action could backfire in various ways…. “But history suggests that military strikes could work. Israel’s 1981 attack on the nearly finished Osirak reactor prevented Iraq’s rapid acquisition of a plutonium-based nuclear weapon and compelled it to pursue a more gradual, uranium-based bomb program. A decade later, the Persian Gulf war uncovered and enabled the destruction of that uranium initiative, which finally deterred Saddam Hussein from further pursuit of nuclear weapons (a fact that eluded American intelligence until after the 2003 invasion). Analogously, Iran’s atomic sites might need to be bombed more than once to persuade Tehran to abandon its pursuit of nuclear weapons. “As for the risk of military strikes undermining Iran’s opposition, history suggests that the effect would be temporary. For example, NATO’s 1999 air campaign against Yugoslavia briefly bolstered support for President Slobodan Milosevic, but a democratic opposition ousted him the next year. “Yes, Iran could retaliate by aiding America’s opponents in Iraq and Afghanistan, but it does that anyway. Iran’s leaders are discouraged from taking more aggressive action against United States forces — and should continue to be — by the fear of provoking a stronger American counter-escalation. If nothing else, the wars in Iraq and Afghanistan have shown that the United States military can oust regimes in weeks if it wants to. “Incentives and sanctions will not work, but air strikes could degrade and deter Iran’s bomb program at relatively little cost or risk, and therefore are worth a try. They should be precision attacks, aimed only at nuclear facilities, to remind Iran of the many other valuable sites that could be bombed if it were foolish enough to retaliate. “The final question is, who should launch the air strikes? Israel has shown an eagerness to do so if Iran does not stop enriching uranium…. Netanyahu likens his offer to Livni to join his government in the run-up to possible war with Iran, Syria, Hezbollah and Hamas to Menachem Begin’s decision to join the Labor government in 1967 — “She’ll come in as minister without portfolio,” he told Haaretz, “like [Menachem] Begin in 1967,” in the run-up to the Six-Day War. Steve Forbes has written a fascinating new book, How Capitalism Will Save Us — a must read for anyone interested in the battle in America right now between the forces of freedom and free markets and the forces of massively bigger government, crushing debt, suffocating tax rates and sheer European-style socialism. It’s an especially important book for high school and college students, and should be required reading for home-schoolers studying history and economics. Now, an as evangelical Christian who believes only faith in Jesus Christ will truly save us, I’m not a big fan of the title (especially at Christmas!). But I know what Steve means and I wholeheartedly agree with the case he argues so well and with such experience. Steve is right: the free market system is under relentless and aggressive assault from would-be socialists. The Washington politicians are taxing, spending and regulating everything in sight, while moving the country steadily towards nationalization of the health care industry, the banks and the auto industry. Meanwhile, the media (and the French) are making the case that free markets are a thing of the past. But who’s out there really defending and advancing the cause of freedom, the correct way to understand the current crisis, and solutions that will really work? “Laissez-faire is finished. The all-powerful market that always knows best is finished.” — French President Nicholas Sarkozy. As Steve and his co-author Elizabeth Ames point out, the enormous and very serious economic crisis Americans and the rest of the world are facing right now aren’t because people have too much freedom. The problem is that too many crooked, greedy, shameless politicians and business people have tried to game the system to benefit themselves, and the system is choking as a result. This is not a book about theory. It’s not an academic tome. It’s a book about a battle between two fundamentally different world views and why this battle matters. It’s chock full of fascinating quotes, intriguing anecdotes, and compelling data I simply didn’t know. Steve Forbes may or may not run for president again. But someone ought to pick up his mantra and run on it, if he does not. Why? Because ideas matter. We are engaged in a titanic war of ideas with the Left over the future of America, and the future of freedom. Where are the leaders of the next pro-freedom Revolution? We’re pleased to announce that The Joshua Fund and several allies will be hosting the first Epicenter conference in Asia, as well as numerous other events and meetings for pastors, ministry leaders and lay people. The goal: to educate Christians who will be gathering from all over Asia about God’s unconditional love and wonderful plan for Israel, His love and plan for Israel’s neighbors, the geopolitical threats rising in the Middle East, and how the Church in Asia can bless Israel and her neighbors in the name of Jesus. The events will be held in Manila, the capital of the Philippines, from January 21-24. For more information, or to consider attending, please click here. 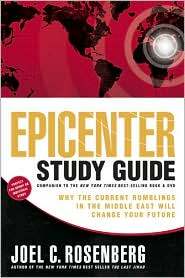 STUDY GUIDES AVAILABLE — Lynn and I have written Bible study guides for “Epicenter” and “Inside The Revolution.” They’re designed to help you go deeper in the Word of God as you seek to understand God’s love and plan for Israel and her neighbors, and can be used individually, or for a small group Bible study. Published by Tyndale, they’re available at Christian book stores, general market books stores, and on-line. At just $7.99 each, they make inexpensive but hopefully encouraging Christmas presents. Please visit my website www.joelrosenberg.com for more information or to purchase your copy on-line today. STATE OF THE EPICENTER: Where does the Israel-Iran conflict stand at the end of 2009? Netanyahu won the Israeli elections in February in large measure because Israelis believed Ariel Sharon and Ehud Olmert had given away — or offered to give away — too much land as previous prime ministers, and had been thanked with two wars (2006 with Hezbollah, and January 2009 with Hamas in Gaza). Israelis wanted a tough, decisive leader strong enough to go to war with Iran, if need be. The Iranian nuclear crisis is worsening by the week. As we end 2009, Iran now has enough uranium (that we know of) to build at least two nuclear weapons. What’s more, Israeli intelligence believes Iran has the technical know how to build functional weapons, and the missiles capable of delivering them. Israel does not seem to believe Iran currently has the bomb, but senior intel officials indicate they may not be more than a year or two away. Netanyahu is quickly running out of options. If the international community does not stop Iran, he will have to order the military to strike. To maximize Israeli chances for success, he would have to do so: 1) before Iran builds its first bomb; and 2) before Russia delivers and installs the S-300 anti-aircraft missile system that it has already sold to Iran. However, Netanyahu knows he must exhaust all other means short of a full blown air war against Iran if he is to garner any international support, most importantly from the U.S. — and he must be perceived as doing so. This is why Netanyahu has taken the following steps: declared a 10 month freeze of building Jewish settlements in the West Bank, dismantled dozens of roadblocks and check points in the West Bank, offered to begin peace talks with Palestinian Chairman Mahmoud Abbas immediately and without preconditions, offered to begin peace talks with Syrian President Bashar al-Assad immediately and without preconditions. All these steps are designed to show the world — and particularly the U.S. — that Israel is not intransigent. They want peace with their neighbors. Israelis can see that Congress is squarely pro-Israel. They are passing resolutions strongly in favor of the Jewish State with enormous bipartisan margins (such as the Iran gasoline sanctions act this week, that passed 412 to 12). Israelis can also see that the Obama administration is clearly not pro-Israel. This is why only 4% of Israelis believe President Obama is on their side this year, compared to 88% who believed President Bush was on their side last year. Obama told Netanyahu that he would give diplomacy with Iran until the end of 2009. Netanyahu probably gave his word to Obam that he would not launch an overt war during this period. But time is now up. The White House is talking about more economic sanctions against Iran early in 2010. But this requires full support at the U.N. from Russia and China. Obama recently told the Chinese premier that he could not stop an Israeli strike against Iran indefinitely (see link to article below). He’s trying to pressure the Russians and the Chinese to support sanctions. Netanyahu and his team are not confident that the U.N. Security Council will back decisive sanctions against Iran in early 2010. Moreover, it’s not even clear that such sanctions — if they do begin fairly soon — could stop Iran’s nuclear weapons development program at this point. It may simply be too late. Israeli leaders continue to hope that something dramatic will happen in Iran, like the death or toppling of Khamenei and Ahmadinejad. Meanwhile, Israel is running a covert war to slow down and sabotage the Iranian nuclear weapons program. But that does not appear to be proving to be enough. Thus, 2010 may be the year of decision for the Netanyahu government. Time for taking action to stop Iran from going nuclear is rapidly running out. Israeli is facing the threat of annihilation from a regime that believes the End of Days is at hand and that the Islamic Messiah known as the Mahdi or the Twelfth Imam may not come unless the Jewish State and it’s 7 million citizens has been vaporized. I can’t say for sure a war is coming this year, but peace would truly be a miracle.